This guide covers your setup and understanding of Milestones PM+, both the Free Edition as well as the Premium Edition. In general, the guide is divided into sections for each edition, however in the section for the Free Edition, we will call out our premium/paid product, Milestones PM+ Premium Edition in situations where limitations do apply with the free version. The section for the Premium Edition covers the setup of the Premium Edition features. Purchase our Upgrade and Support Plan to get assistance with your implementation. This bundled offering includes your activation of Milestones PM+ Premium Edition (paid version) and our fantastic technical support. Visit our Community to create an estimate for your implementation project. Milestones PM+ is native project management app for Salesforce and is easily customizable by an experienced Salesforce Administrator. You own your project management methodology, so we think you should own your project management solution as well. Our solution can be continuously adapted to meet your project management needs. This is why we offer Milestones PM+ Free Edition. It gives you the chance to experience the solution, map out your project management business process, implement project templates, and get off the ground with a more effective project management solution. Who is Milestones PM+ Suited For? Milestones PM+ is ideal for existing customers of Salesforce that are now looking to mature their organization’s usage of Salesforce by implementing a project management solution. Any project management solution consists of a project management methodology, a tool/app, and users who represent project senior leadership, project managers, and project team members. Milestones PM+ is a flexible platform to meet most project management models and 100% of your project management requirements. Our solution is best for those organizations that view their project management process almost like a manufacturing process with fixed phases. Each phase can have a set of tasks and each phase generally goes in order. Each project may bring with it an additional phase or two or an addition task or two (this is what makes a project unique and difficult), but in the end, baking a cake is baking a cake. With Milestones PM+, you can still have multiple templates for each project type. In general though, your project managers/coordinators are not tasked with reinventing the wheel each time nor are they delivering something truly unique to each customer. They are working off a template or master recipe/outline. In a nutshell, if you can boil down each of your project types to a template currently found in a document, spreadsheet, or MS project plan file, then Milestone PM+ is the correct solution for your organization. Feel free to check out our demo video on YouTube. Milestones PM+ can be installed into a Professional Edition org or higher. Installing Milestones PM+ is easy! Just click the green “Get It Now” button on our AppExchange listing and follow the steps in the wizard. Please note that any Salesforce administrator will have access to Milestones PM+. If there are non-administrator users that you want to grant access to the app, please assign the Milestones PM+ Full Access permission set to the User record. Here is more info on how to permission sets to a User. If you are on the Free Edition, you will need to add the Users that you want to use the app. To do so please refer to the steps outlined by Salesforce found here: Assign User to Installed Package. Please read the following upgrade instructions carefully! If you are upgrading from a version of Milestones PM+ that is older than 7.0, there are prerequisite steps you must take before upgrading in order to avoid installation errors. You can install Milestones PM+ alongside Milestones PM as it is separate app. If you need to retain old project data (including custom fields and relationships), we recommend that you visit our Community for a data migration quote unless you are really good with Salesforce data loading (ETL) tools. Most data migrations take no more than 8 hours. If no data retention is necessary, you may uninstall or delete Milestones PM when ready. Please note that this procedure will not export your custom fields, nor does it include any customizations that you have made. Again, if you need assistance with a complete data migration option, or any data migration in Salesforce, please let us know. MPM+ supports a simple project structure, Milestones and Tasks. Each Milestone may have multiple Tasks. If you are trying to convert existing templates and you have more than the 2 level structure, we recommend collapsing the items into two levels. Tasks being individual items for completion, belonging to a Milestone.In Milestones PM, you can export each relevant project that you wish to be migrated from MPM into an xml file that is compatible with MPM+. In Milestones PM+, you can then import each exported MPM file to create a project in MPM+. When you are happy with everything copied over, you may uninstall MPM, which deletes all of your project data. Join the Milestones PM+ Success Community group. Email support@passagetech.com to log a case. To take advantage of our Development Services for implementation, training, or any other needs, please purchase the Milestones PM+ Upgrade and Support Plan or visit our Community to create a project estimate. To customize how Milestones PM+ behaves, you must modify Custom Settings. To find the Custom Settings page, please go to Setup>Develop>Custom Settings and click “Manage” next to Milestone1 Settings. Enhance your org and create additional custom settings with our development services. Used for: Summary page, filtering to show only Projects with any of these values (by default, all Projects are displayed regardless of status). Used for: Printing only select Milestones’ Tasks with the Project. Auto UnFollow A Complete Task – Automatically unsubscribes Assigned Users from Chatter feed notifications of Tasks marked Complete. Auto Follow A Task – Automatically subscribes Users to follow Tasks they’re Assigned To. Auto Milestone/Task Completion – Automatically syncs completion statuses between a Milestone and its Tasks; marking a Milestone as complete will change the status of all its Tasks to complete, and marking all Tasks as complete will update the Milestone status to complete. Used for: (1) Improved accuracy, eliminating an extra step of updating a Milestone status despite its Tasks being marked complete. (2) Improved efficiency, eliminating the need to manually mass update individual Tasks when a Milestone is finished. Auto Unfollow Reassignment – Automatically unsubscribes the previous Assigned User from a Task once reassigned to another User. Custom Email Fields – Enter the api name of an email address field that will override the “Notification Email Address” field being utilized for Milestones or Tasks. (Premium Edition only) Custom Milestone Email Field; Custom Task Email Field. Used for: Consistent communication to a single individual who needs these notifications. Used for: Custom Milestone Sort Order, Custom Project Sort Order, Custom Task Sort Order; Custom Summary Sort Order, use Project/Program field API names appropriate to the object in use. Custom Setting Picklist Filter #1 – This setting is for our Development Services and inactive in the standard package. Used for: Determining what email templates are displayed for selection on Milestone and Task notifications in-line Visualforce pages. Used for: Keeping emailed Tasks in one location to easily sort through, rather than having them unassociated anywhere. Used for: Prevents notifications to Resources. Disable Automatic Resource Creation – Prevents the creation of a Resource record when new Users are added. Used for: Cases where (1) Resources and Users are intended for separate purposes; (2) Resources are intended only for Contact records; (3) not all new User records require a Resource record; (4) Resources are preferred to be manually created. Used for: If, frequently, Milestones and Tasks are initially added and later maintained in-line through Manage Project Plan, the deletion column being enabled may prove useful. Otherwise, removing this ability can prevent accidental deletion. Used for: Prevents changes to an in-line object’s start and end dates made by moving the bar. Disable Milestone Deadline Population – If checked, the setting will allow the deadline field to be blank. If unchecked, it will prevent the deadline field from being blank. Used for: Ensures that only your users or your business specific workflow rules control the defaulting of this field value. Allows Milestone due dates to be blank even when the kickoff date field is populated. Disable Milestone Shifts Caused By Tasks – Prevents the dates on a Milestone from changing when Project Task dates are changed, allowing both sets of dates to be different such as when task dates are updated outside the timeframe of the milestones or moved after the Milestone start date. Used for: (1) Keeping Tasks with its relevant Milestone (regardless of how the Task dates change in relation to its Milestones’ dates). (2) Avoid overlap of consecutive Milestones. Disable Parent/Child Functionality – This setting is used to prevent unnecessary queries from being run when parent/child relationships are not being used. Used for: Organizations that simply want to reduce the necessity of using email to manage project execution. Disable Triggers – Prevents the Milestones PM+ triggers from firing. Used for: (1) Investigating issues and troubleshooting. (2) Turning off any automation for preference. Display Tasks On Program Gantt Chart – Shows the Task rows within the Program Gantt chart. Used for: Full outline of a Program’s details. By default, the Program Gantt displays only Projects and Milestones. Exception Email Address – Enter an email address (comma-separated, if multiple) to receive email notifications when asynchronous job exceptions occur, detailing which record caused what error to occur. Used for: Alerting operations personnel. Fiscal Year Offset – Enter numerical value of the month that the fiscal year starts. Used for: Used for Projects that are frequently executed with the same Resources or teams assigned, reducing resource management overhead. Keep Weekday Duration When Shifting – Prevents the weekday duration from reducing if (1) an item is moved; (2) Exclude Weekend Work is checked, and (3) total duration (seven days) is unchanged. Only Create Resource For SF License – Create Resource records only for new Users with a Standard profile for either the Salesforce or Salesforce Platform license type. An alternative to the default setting (new Users creating new Resources) and our other custom setting (Disable Automatic Resource Creation). Used for: Filtering out Resource records from higher-restriction license types including community users. Realtime Project Creation – By default, Projects are created in the background and, thus, may take a few extra seconds to process. If checked, the project will be created in realtime. Used for: Bypassing the Apex governor limits in Salesforce. “Report Id” settings – Most of these settings are for the use of our Development Services. Shift Due Date When Start Date Set – If checked, changing the start date of a Task will shift its due date to keep the duration the same number of days. Note: manual changes to the Task due date will override any shifts and this setting. Used for: (1) Due dates that are dependent on when the Task starts and not a predetermined hard deadline. (2) Consistency by freezing the span set between dates. Show Duration on Gantt Chart – Display the Duration column on the Gantt chart, totaling the days between start and finish dates for in-line objects. Summary Programs – Display Gantt charts of Programs instead of Projects on the Summary tab. Used for: Orgs primarily utilizing Programs rather than multiple independent Projects. Sync Task With Actual Start Finish Dates – Syncs the Task values of Start Date and Due Date to Actual Start Date and Actual Finish Date. Used for: (1) Gantt chart auto-fill, as Actual Dates are displayed. (2) Automation for when Tasks are frequently on-time, and the Actual Dates don’t often vary. Used for: When unchecked, Projects with Planning status won’t sync its Tasks to SFDC Tasks/Events. Once the Project status is Active, all Tasks will then be synced to SFDC Tasks/Events. Used for: Condensed overview of the most current status of a Project, limiting to completed Tasks and its next (successor) Task. Usage of Limits – Enter how many maximum queries to execute in a single trigger context. Used for: Limiting the number of queries run by Milestones PM+ in a single context. To use Lookup Helper, you must install it first from our Lookup Helper AppExchange listing. If you already have a field that describes what you would consider to be a Program on your Project object, you can use that field value in Lookup Helper to automatically set the lookup for the Program and attach it to the Project. This allows for Program-level reporting and roll-ups. Use Lookup Helper to automatically populate the packaged account__c field on the Project Task custom object based upon the Project’s Account value. If you report on your Projects by State or Region, you can use Lookup Helper to automatically group all of your Projects under a single Region or State. With this scenario, use the Account’s Billing State to set the Project’s State. You can then roll-up and easily report on Project information by State or Region. To use Rollup Helper, you must install it first from our Rollup Helper AppExchange listing. Use Rollup Helper to customize % complete tracking. For example, with Milestones PM+ out of the box, the percent complete field is based upon the number of Tasks completed / total number of Tasks. If you would like to calculate a percent complete field for Milestones completed, you would need to use Rollup Helper in order to complete the calculation. This is because you will need to be able to count the total number of Milestones under a Project, and count the number of Milestones that are completed. Use Rollup Helper to implement any custom date rollups. For example, to calculate and show the earliest Project date on a Program as the Program Start Date on the Program page layout use a MIN rollup to the Start Date field. Use Rollup Helper to help build custom embedded analytic reports on any page in Salesforce to show custom Project Dashboards. For example, use Rollup Helper to create a rollup of the count of Risks and Issues onto the Project and then create a Project-based report that includes these in a Report Chart and embed the Report Chart on the Project page. To use Storage Helper, you must install it first from our Storage Helper AppExchange listing. Use Storage Helper to recycle old Projects along with their Milestones and Tasks to free up valuable Salesforce Data Storage. Storage Helper allows you to easily define the criteria for the data that you would like to clean up and then automatically recycles the data for you. You will notice at various points in this admin guide that we make reference to Salesforce Workflow which can include Salesforce Process Builder and/or Flow workflow. Passage Technology can easily set up these workflows for you to make a seamless implementation if you purchase our Milestones PM+ Upgrade and Support Plan. By default, Projects are set in the Organization Wide Default settings(OWD) as Public Read Only. This means that any users with access to the app and at least read access to the Projects tab and read access to the Project object will have access to view all Projects. If there are groups of users or individual users who should see less than all Projects, or you want to limit access to Projects to just those a project manager / user owns, then we would recommend that you change your Organization Wide Default to Private. Then only those Projects or Milestones shared on a read or read/write basis to other users by the Project Manager or via Automated Sharing Rules can be viewed. The way that these sharing rules are created is manually via the Sharing Button or via Sharing Rules. You may create Project templates for each of your Project types out of the box. Please be advised that there are limitations with the Free Edition of Milestones PM+. For example, you cannot export custom fields in your Project templates. In versions older than 7.2, the Assigned To field can not be used in Project templates. In versions 7.2 or later, the Assigned To field has been replaced with the Resource field. To gain these additional features, please upgrade to Milestones PM+ Premium Edition to get the Advanced Project Templates feature. A template consists of a Project, their Milestones, and each Milestone's Tasks. To create a template, create a Project, add Milestones to the Project, and for each Milestone, add Tasks. Pay special attention to predecessor/successor relationships between Milestones and Tasks and adjust all the dates to match your expected /target /average durations. Review this with your team. After this review, click the "Export Template" button. This will create your Project template! After creating a Project template file, use the "Import Template" tab to create a Project from the template file. For creating a project template in production and moving it to a sandbox, you would need to import the template with the “keep template assignments” custom setting for MPM+ turned off. If the setting is left on, it will try to reference the resource IDs, which only exist in your other environment and the import will fail. Automatic project creation process is great way to enforce consistent template utilization within your project management organization and it supports the automatic assignment of a project kickoff date. Create a project from a Button. This option is easier to implement as it does not require any code or the use of a sandbox. This is a Milestones PM+ Premium Edition feature. Please refer to the “Create Projects From Any Object In Salesforce Button (Premium Edition Feature)" section below for step by step directions. Create a project automatically using a trigger on the desired object. Please follow the steps below for the trigger option or contact sales@passagetech.com for a quote if you would like us to implement this for you. Create a project automatically using an invocable method through Process Builder. This is a great option for professional edition users since apex triggers and classes cannot be created in that edition. Please follow the steps below for the process builder option or contact sales@passagetech.com for a quote if you would like us to implement this for you. In order to setup Project creation automatically from any object in Salesforce, you will need two main variables to be managed by your users or your workflow. One variable will be the template name (example: New Client Onboarding) to use when a Project is to be created from another object and the second variable is the name for your Project (example: Account Name New Client Onboarding). In most implementations, you will have your Users either populate a custom text field or select a picklist field to select a template. If you are going to go down the path of implementing a picklist field, you MUST make sure that you do not default the picklist field to a specific template name value as then the trigger that is deployed behind the scenes will never fire. 1) Log into your sandbox. 5) Enter the trigger name and select the object that you want to create project automatically from. For the trigger name we recommend "MPM4_Opportunity_Project_Creation”. 6) Copy and paste the template trigger code on the next page, and replace variables accordingly. Make sure you have "after insert, after update” in the parenthesis. In the CreateChildProject method, there are multiple parameters. The 'projectCreationField' parameter is a MANDATORY text field representing the API name for the field containing the value that represents which project template document to search for. It also is the field that when set triggers project creation. Important: You will want to make sure that when creating project templates that you have your template named (document named) according to the value specified by this field. For example, if the value in the API field name referenced by the projectCreationField parameter is "Standard", you will need to make sure that you have a project template named, "Standard" or containing the word "Standard". NOTE: If you are using the secondaryLookup parameter to determine the source for the ID field to use for the secondaryLookup, you will need to set this field for where to put this ID field on the Project custom object. The 'secondaryLookup' parameter is an OPTIONAL text field representing the API name for an additional lookup field on the parent object on which the project was automatically created. For example, Opportunities have Accounts as their parent (grandparent to the Project) and if you are creating a Project from an Opportunity, you can set the Opportunity. 'AccountID' api name / field name value to use in this parameter to relate the Project to both the Opportunity and it's Account. The 'Project_Naming_Convention__c' parameter is a MANDATORY text field representing the API name containing the field or formula field that sets the name of your newly created project. If you need assistance in deploying this trigger or changing your setup of how projects are created automatically, please let us know. We presently support creating a child project off any object (e.g. opportunity), but can set this up to run differently based on your requirements (e.g. an opportunities products can be used to select the template, a project can support being tied to multiple child opportunities). TIP: You can use Rollup Helper to rollup the product(s) on an opportunity, and then use that roll-up field as part of workflow that triggers project creation. TIP: If you have a third (or even more) lookups to set on the project object you can use our other app Lookup Helper to accomplish this with clicks and not code. Once the Trigger has been created you will also need to create a test method for the trigger in order to deploy it into a production environment. Below you will find the code you can use as an example to build your trigger. PLEASE NOTE: If you have any extra required fields on Account or Opportunity you will need provide values for those fields in the constructor before inserting the record. // All test methods in this class can access all data. Before you begin creating the process in Process Builder, a ‘Project Creation Setting’ custom setting must be created. To do this, go to Setup -> Custom Settings -> click Manage next to Project Creation Settings -> then click New. Required: Populate the name field with the name of the object that should trigger the project to be created (in lower case). Required: Project Creation Field the name of the field on the object (triggering project creation) that will contain the name of the project template that will get created. Required: Project Naming Convention field should be populated with the field name on the object (used in the name field) that will be used to name the new project that will be created. Required: Project Lookup Field 1 will contain the name of the lookup field on the project object that is used to relate the newly created project to the record that triggered the project to be created. Optional: Project Lookup Field 2 will contain the name of a secondary lookup field on the project object that should be populated on project creation. Optional: Secondary Lookup field will contain the field name of a relationship field on the source object that will contain the ID of what should be populated in the project field used for the ‘Project Lookup Field 2’ custom setting. Once the ‘Project Creation Setting’ has been created, you may now create your process in Process Builder. On the ‘New Process’ page, enter the process name and select When a record changes from the dropdown “The process starts when;” click save. Select if the process should fire on project creation, or whenever its created or edited. If you would like to define a specific criteria that will have to be met in order for the project to be created, you may do so or you select to just execute the action without criteria. Name the action anything you would like. Select Create Child Projects option for the Apex Class field. Click +/plus symbol next to “Add Row” text in the ‘Set Apex Variables’ section. Select the ID field for the value. Click Save and activate the process. 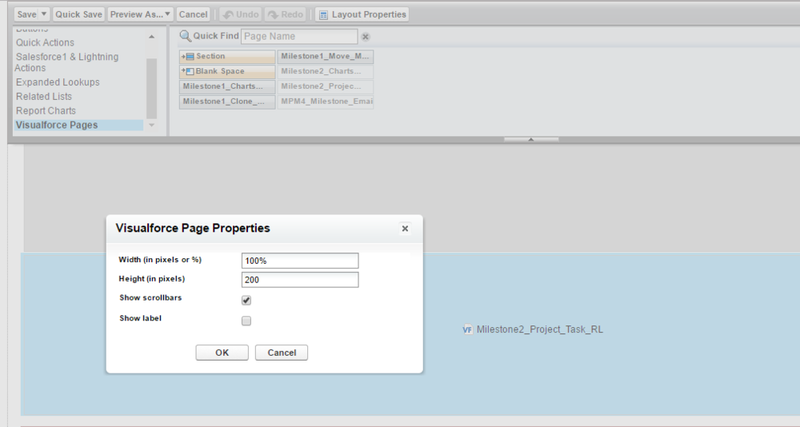 Before you begin creating the Visualforce Page, a ‘Project Creation Setting’ custom setting must be created. To do this go to Setup -> Custom Settings -> click manage next to Project Creation Settings -> then click New. Once the ‘Project Creation Setting’ has been created you may now create your Visualforce Page. After the page is written you may replace ‘object_name__c’ with the name of the object that should cause a project to be created, and replace ‘Project_Parent_Record_ID__c’ with the name of the field containing the ID that should be used to populate the Project Lookup Field 1 field at the project level (in most cases this will be the ID field). What is Each Object/Tab Used For? Implement Programs to group your Projects together and display on the Program-level Gantt chart. To add your existing Projects to a Program, please make sure you add the Program lookup field to your page layout if not already displayed there and also add all your Programs using the Programs tab. You can also think of a Program as a parent Project. Use Projects to track anything that has a start or a finish date. A Project has multiple Milestones. Projects can even roll up into a Program! If you shift the Project start and end date the same number of days, this will have the effect of shifting all milestones and tasks in the Project. You can also click the Project Configuration button and a new date (positive / negative value) to bring earlier or delay a Project. If you use the button, it will take a few moments for the Project to reflect the updates and requires a refresh. On the Project page there are some 'Status at a Glance' charts to help you track task status and budget status. If you you think you will need to change those charts or create different Project-level metrics, we recommend that you look into Rollup Helper to calculate any Project metrics / KPIs. If you want to graph any Project metric (as we have done with the sample charts), we recommend using Embedded Analytics as that is a completely native solution and fully supported. You can have a unique Project number for each Project by creating a custom field and using the auto-number custom field type. You can view a list of the custom-field types supported in Milestones PM+ here. The Next Project Top Milestone Name will be auto-calculated at the Project level. This field pulls the name of the next incomplete Milestone with a deadline filled out that does not have a parent milestone. Use Milestones to track a component of your Project that have a start or a finish date. Milestones can even have multiple Tasks or be related to any object in Salesforce! Milestones can be linked to other Milestones to form dependencies that are displayed on the Gantt Chart. When you extend an end date on a Milestone beyond the end date of the Project, the Project will be extended. You may use the Templates functionality for the entire Project work breakdown structure (Project, Milestones, Tasks) to be copied. Do not disable the 'Milestone Kickoff must not be earlier than its Predecessor's Deadline' validation rule. Disabling the validation rule will allow for potentially bad data to be created in a Project while the User is editing Milestones, or during the automated Project creation processes that we have (auto-project creation processes, import project). Use Tasks to hold individuals accountable for delivering on specific time-sensitive items. Milestones can even have multiple Tasks or be related to any object in Salesforce! When you extend an end date on a Task beyond the end date of the Milestone, the Milestone will be extended. Successor Tasks will also be shifted over as well. It is important to note that when you save a Task as complete, the default behavior is for your start date to be used as the actual start date (if one is not provided) and that the actual finish date will be set to today (if one is not provided). Changing the start and finish dates whilst marking a Task complete, may not apply the correct dates to your plan. If you want to mark a Task complete, first make sure that the dates are correct for start and due date first before marking the Task complete. Alternatively, you may want to add the actual start and finish dates to your Task layouts and Quick Task Update visualforce page component (on the Milestone page) to ensure the correct actual start and finish dates are applied to your plan. You can put time records on each Project Task using the “New Time” button on the “Times” Related List of your Tasks Detail Page. In Milestones PM+ Free Edition, this is a bit tedious, so if you are looking for an easy to use time tracker for inputting time on multiple Tasks at once in a grid-like format, please upgrade to Milestones PM+ Premium Edition. Use Risks to document any potential issues that may occur during a Project and any contingency plans that are in place. 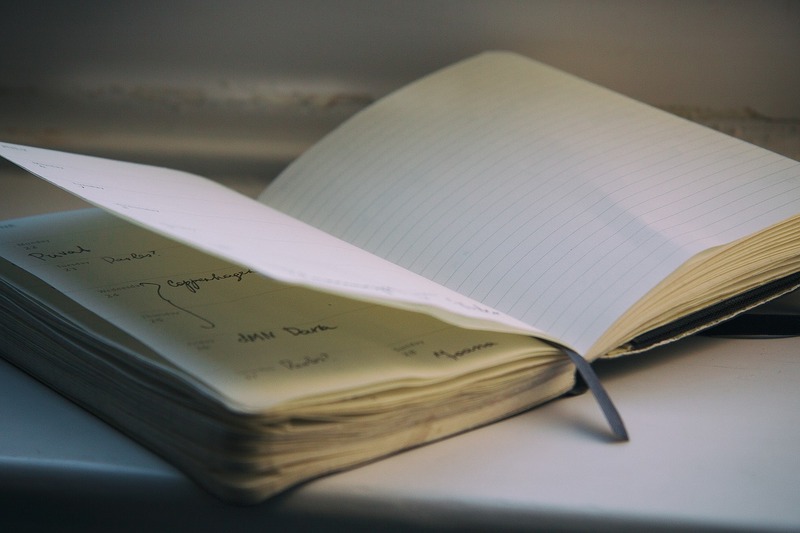 Use Issues to document any problems that arise during a project. Use the calendar to view deadlines in a calendar format. You can display a Gantt of child Projects under a Program, a Project's Milestones, or even a Milestone's Tasks. The sorting logic on the Gantt chart by default is to order in an ascending fashion, first on the start date, then the end date, and then finally on the name of the item. The sort order of the Gantt chart Tasks can be configured by an admin using the 'Custom Task Sort Order' custom setting (Develop>Custom Settings, etc). The Milestones PM+ Gantt Chart component is now Salesforce Community Cloud Ready! Contact Passage Technology to learn more about enablement. Shows a Milestone-level Gantt chart of each Project with option to search for a Project. You can drill down into each Project. The layout on the Summary tab is presently fixed, but we hope to improve the configurability of this page in the near future. Click the FIRST ‘New’ button at the top of the page to create a new default organization wide custom setting for Milestones PM+. How do the Predecessor/Successor Dependencies Work? Predecessor/successor dependencies are used to depict that one item relies on the completion of another item in order to continue work. If a predecessor Milestone or Task is shifted (a "Date Shift"), the successor Milestone or Task will be shifted over the same number of days. What we mean by a "Date Shift" is that both the start and end dates are shifted by the same number of days. In order to enact a "Date Shift" at the Milestone level that cascades down to its Tasks, both the start date AND end date have to shift by the same number of days. If just the start date is shifted, this will not influence the Task dates on the updated Milestone. Please note that when the end date on the Milestone is shifted, then the successor Milestones will also have their dates changed and their Tasks' dates will also change. A Project Task can only have one Task predecessor. If you wish to have a Task linked to multiple Task predecessors, we recommend that you group the Tasks that are the predecessors into one Milestone and make that Milestone a predecessor Milestone to a Milestone that contains the downstream Task in question. If you still require further customization of this default behavior, please contact us to see about getting this new feature implemented into our product. A Project Milestone can only have one predecessor Project Milestone. If you still require further customization of this default behavior, please contact us to see about getting this new feature implemented into our product. A Project Task can only become a predecessor Project Task if it is on the same Milestone as the successor Project Task. If you still require further customization of this default behavior, please contact us to see about getting this new feature implemented into our product. Can I Import Data into Milestones PM+ from Another App(E.G Milestones PM, MS Project, Primavera)? Yes, we recommend using either the Salesforce dataloader.io or Salesforce Data Loader app (desktop/client app) for this. We recommend these solutions just for one-time data migration. If you need assistance with a data migration, please visit our Community to create a Project estimate. Can I Import MS Project Files? This functionality is not currently available, however, if you need to get a third party app's project plan migrated into Milestones PM+ to use as a template for future usage, the current method is to create it as a Project and copy and paste everything in. It should take about 30 minutes to 1 hour to do this and it should be a one-time process done by an admin if possible as this is a bit tricky with all the dependencies that have to be managed. Once your project is setup, just click the 'export template' button to turn the project into a Project template. Under App Setup expand Customize. Expand Tab Names and Labels. Click Rename Tabs and Labels. Scroll down to Custom Tabs. Click Edit next to the custom tab you want to rename. Change the values in the Record Name, Singular, or Plural fields to ones that make sense for your organization. Repeat steps 6-8 for each tab you want to rename. Under Administration Setup expand Translation Workbench. Change Package to Milestones PM+. Change language to appropriate language (e.g. English). Change Setup Component to Custom Field. Pick the Object that contains your Custom Field. Make sure Aspect is set to Field Label. Double click in the Field Label Override cell for the label you want to change. Input your new label value. Pick the Object that contains your Custom Related List. Make sure Aspect is set to Related List Label. Double click in the Related List Label Override cell for the label you want to change. Input your new label value. In the free version of Milestones PM+, each Task must be assigned to a single Task owner and that Task owner must be a Salesforce User. You can assign a Task to a User manually or automatically. Milestones PM+ assigns owners to Projects, Milestones, and Tasks automatically based on the User performing or triggering the Project import from a template file. Milestones PM+ also changes owners automatically on Milestones and Tasks when the higher level object’s (parent object’s) owner changes and the old owner matches. You can automate other owner changes using workflow field updates. Please read on to review our additional Resource assignment capabilities. If you are interested in assigning Tasks to non-Salesforce Users and they don’t require in app view/update access or need to assign a Task to a group of Users, please upgrade to the Milestones PM+ Premium Edition. This package has our ‘Resource Assignment’ feature. The Resource Assignment feature includes access to Resource object and allows for a seamless process of linking a Task to a Resource (who is a Contact in your database). For a group of Users, a Contact record can be created for the group using the group email address. With the Premium Edition, you will be able to create workflow to drive your business process further with this Resource object for various notification email alerts. Please note that workflows are only available with Salesforce Enterprise Edition orgs or higher (or orgs having the API & workflow add-on purchased from Salesforce). If you are interested in assigning tasks to non-Salesforce users and having them view or update data directly, please read the next section. Does your app provide external user access? Yes, this is possible with some advanced configuration and may require additional Salesforce licenses to be purchased from Passage Technology or Salesforce. If you are not comfortable with advanced configuration or not sure which licenses are best for you to purchase, please subscribe to our Upgrade and Support plan for implementation assistance. Please read on to learn about the various license options available. This option provides the best blend of functionality and security. This option requires setting up direct access to the system via a Salesforce community portal. In this case, we will setup a community for you to have all your external / non-Salesforce team members access the application securely regardless of having a Salesforce user login today. In this scenario, portal licenses / community licenses are required for users to access the portal. Please contact us for assistance in procuring these licenses through Salesforce. This alternative allows you to give your external / non-Salesforce team members a similar user experience as your internal users. 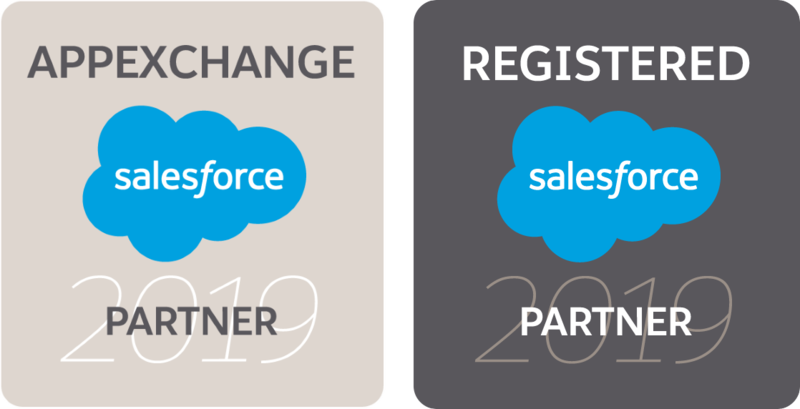 This option requires purchasing a license either from Passage Technology (single app license) or from Salesforce (chatter plus, force.com one app, or force.com EE licenses. This option doesn't require a portal to be setup, but may still require security configuration and still requires additional licenses for your customers and partners and other external team members. In this scenario, you will setup a restricted user profile for your external customers or partners to access Salesforce securely. For assistance with implementing any of these options or related workflow, please subscribe to the Upgrade and Support plan. If you are interested in assigning Tasks to multiple Resources, a Resource for Task related list can be used. If this does not meet your requirements, please consider upgrading to Milestones PM+ Premium Edition for Resource Assignment functionality (a Contact record for the group can be used for Task assignment) or email sales@passagetech.com for a quote on delivering this functionality / customization per your needs. How do I Set Up Task Reminders? If you are looking for a more standardized way of reminding your Users about Tasks just like Salesforce does with Tasks on the Homepage and those pop-up reminders that you get on login, we have this functionality in our Premium Edition. With the Premium Edition, we integrate Salesforce Tasks/Events with Milestones PM+ Tasks. The Premium Edition has notification features such as the ability to use native Task reminders for Tasks due or can even notify downstream Task owners when a predecessor Task gets completed. If you are upgrading from a version lower than 7.24 to a version equal to or greater than 7.24, you may need to update your Resource fields. Version 7.24 has deprecated the Assign To field on Tasks in favor of a more dynamic field called Resource. The Resource field can be a Contact or a User (Contact is only available in Premium Edition). To accommodate for this we needed a new object called Resource that can hold either a User or a Contact as the Resource. In order to transfer your existing Assign To data to the Resource field we will need to first create a Resource for each User that doesn't already have a Resource aligned with the User and also update all of the Resource fields that are currently blank with the value in the Assign To field. To do this just go to the Getting Started page and press execute on the button in the Update Resource section. Note: you can disable Resource Task assignments before running the process to ensure that Users do not get flooded with Resource Assignment emails. Document management is not really a feature built into Milestone PM+, but you can use Salesforce document management features (Salesforce Content, Chatter files, Notes and Attachments, etc) to get more functionality in this space. What Is Your Release Process? Where do you Keep Release Notes? Our release process is documented via email. Keep up to date with the latest features by viewing the Milestones PM+ Release Notes. Will Milestones PM+ Interfere with my Other Applications or Deployments? No, in general Milestones PM+ runs in its own “namespaced” managed package. Managed package code is not included in the required code coverage calculation for deployment. The 75% requirement is on all Apex code in your org's namespace. Managed code has its own namespace, so it is not included. When deploying to production, all tests in your org's namespace will be run. Managed tests will not be run by default. If the deployment package explicitly marks runAllTests to true, managed tests will also run. These will need to execute without any failures should the flag be set. Despite this, the 75% requirement for code coverage is still only on unmanaged code. With Milestones PM+ on the Project, Milestone & Task level, you are given the ability to add fields to the field set, so that they can be cloned. Please see the screenshots on the main page below. Export Template - use this the export a template based off of the current Project. Make sure you have the Project defined exactly how you want it before exporting because changes to the Project after exporting it will not update the exported file. You would need to export the template once again. Project Configuration - this button allows you to shift the Project by a certain number of days. You could also check an option to exclude weekend work. This will adjust the Project to account for no weekend work and your Tasks/Milestones will not land on the weekend. Project Report - this will open up a report on the current Project so you can have an overview on the health of the Project. You can now create an automatic project creation trigger and then go to the list view of the object and edit multiple instances of that object and save them at once. It will then create Projects for all the records that meet the criteria defined in the automatic project creation trigger. You can change the color of the bar on the gantt chart for each record. To do so edit the field called Gantt Color on the Task/Milestone object and put the html color code in the field. For example putting a value of 0000FF in the field would make the bar blue. Check/uncheck the internal checkbox field to define a Task/Milestone/Project as internal only. If it is internal you can filter it out when viewing the Gantt Chart in the print gantt chart view. This allows you to print a version that hides internal Tasks from your clients (Printable Gantt is only available in Premium Edition). Because Milestones PM+ is native to Salesforce, full reporting and dashboard functionality can be used. Additionally, embedded analytics can be implemented to display charts on any of the objects. If you need assistance with creating custom reports, consider the following resources or contact sales@passagetech.com for a Development Services quote. Use a Project name that you will also use as the Template name. Make sure that all durations, predecessor/successor dependencies are in place. Only lookup fields that apply to all projects created from the template should be populated. If for example, they all should be in the same Program, populate the Program Lookup. They may not all be for the same Account, so leave that blank. If the Template may be migrated to another org, Lookup and Resource fields should be blank as the records may not exist in the new environment. File Project Templates in the Milestones PM folder so that all Users have access to them. Keep in mind that Custom Settings apply to all Programs, Projects, etc. If you have large Projects hitting limit errors such as SOQL 101, consider lowering the “Usage of Limits” Custom Setting to 70% (It is 100% by default). IMPORTANT: In order to avoid install or operational errors with this package if you are upgrading from a version of Milestones PM+ that is older than 7.0, you must enable the “Allow Activities” object setting from both the Milestone and Task object configuration screen. If you have purchased Milestones PM+ Premium Edition, these features will automatically be available to you. If you would like to begin a trial, please email sales@passagetech.com to have your license activated. Currently there are no steps required to set up this feature. The package will come with this feature enabled by default. Please note that only new Project Tasks created or updated will be synchronized to Salesforce Tasks. In order to sync a Project Task to a Salesforce Task, you need to add the “Sync To” field to your page layout, and select “Salesforce Task” in this field or leave it blank. Please remember to add the “Sync To”, “Reminder”, “Reminder Time” fields to your page layout. To select a reminder option on an open Task, select the checkbox, date and time. If you do not want tasks to sync when the project is in the Planning stage then just uncheck the custom setting called: Sync Tasks Events When in Proj Planning. This will prevent task sync from the project but once the project switches to another status it will sync the tasks. Currently there are no steps required to set up this feature. The package will come with this feature enabled by default. Please note that only new Project Tasks created or updated will be synchronized to Salesforce events AND this will only happen if you have selected ‘Salesforce Event” in the “Sync To” field AND have inputted the “Start Time” for the event on your Project Task. Please remember to add the “Sync To”, Start Time, End Time, and Duration fields to your Project Task page layout and keep in mind that only the “Sync To” field and “Start Time” fields are required to be populated in order to create a “Salesforce Event” in this field. Note: We do not currently support multi-day events. Please contact us at milestones@passagetech.com to request this feature to be enabled. Syncing of a Project Task to either a Salesforce Task or Salesforce Event will only occur automatically for new Tasks created on new Milestones. By adding the sync fields to the page layout, selecting either Task or Event sync and saving the record will cause a manual sync for that record. With Milestones PM+ Premium Edition, a Resource record will need to be created from either selecting a Contact or User in the CRM as a Resource. Once this is completed, the Resource is available in the Resource lookup on the Task record. If multiple Resources are needed for the Task, a Contact record for the group can be created and assigned.
. The ID of the folder is contained after the ‘fcf=’ portion of the URL (displayed with the red text). Once the ID is obtained navigate back to the setup menu for the second part of this configuration. Once back at the setup menu view your custom settings (accessible under the develop section), and click manage next to Milestone1 Settings. Click the edit button and update the ‘Default Email Template Folder’ field with the ID obtained in the first step, and click save. Once the custom setting has been saved you are ready for step three. Scroll down to Page Layouts and click Edit link next to your page layout. From the Page Layout Editor, scroll down the list of components and select “VisualForce Pages”. Note: See highlighted option in image on main page below. Click and drag the MPM4_Milestone_Email visualforce page onto the layout. Click the wrench icon and change the height of the component to 100 pixels. Repeat the steps from the prior step except you’ll be adding the MPM4_Task_Email visualforce page onto the Task layout. Once the page layouts have been updated you should be able to send off created email templates from the Milestone, and Task page by selecting the correct template, and clicking the send button. When creating email templates that are of type CUSTOM, you cannot edit the email content from the template before sending. If you want to be able edit the email content from the template before sending, you must use HTML type email templates. This will require you to create a letterhead. Another important item to note about email templates is if you want to include Milestone fields in an email template intended to be sent from the Task page, you will need to create a formula field on the Task object that references the Milestone field's value. Then, within your Task email communication template, select that formula field on the Task object to bring in the Milestone field value. To enable Alerts and Notifications no additional steps are required. However if you would like to disable this functionality you may do so by selecting the ‘Disable All Resource Email Notifications’ checkbox in the Milestone PM+ custom setting. When the Alerts and Notification feature enabled, email notifications will be sent to a successor Task owner/Resource when the predecessor Task is complete, and when a Resource is assigned to a Task. If you would like for only the successor Task notifications when a predecessor Task is complete you may check the ‘Disable Resource Assignment Notification’ custom setting. Please add the Complete Milestone and Complete Task buttons to your Milestone and Task page layouts respectively. With the Milestones PM+ Enterprise Edition, you now have the ability to create Projects from any object within Salesforce at the click of a button. Use the following steps to create the Project Creation Button. This feature is available with at least version 6.0 of Milestones PM+ base package. Navigate to the setup menu. For any objects that you would like to create a project from, you must first create a lookup relationship on Project to the parent object where the button will reside. If for example you want to create new projects from Cases, you would first create a lookup field on Project to Case. Return to Setup and select the object you would like to create the project from. Click the New button or Link button. Select how you would like the new page being forwarded to display. We recommend to use the behavior of “Display in existing window without sidebar or header”. Leave the Content Source as URL. Change the ‘Object' to the api name of the object you would like to create the project from. Save the new button or link. Add the button or link to your page layout. To get started with Time Entry, please watch the Getting Started Video. New to time entry: there is now a Time Entry tab which allows you to enter time on any object for multiple days. To show/hide fields on the Manage Project Plan you may simply modify the ‘Manage Project Plan Fields’ field sets at the Project, Milestone, and Task object levels. Please Note: It is recommended to keep the fields included by default in the Manage Project Plan field sets. When printing, be sure to select Background graphics in your Printer Options to see the full Gantt chart. Set the internal checkbox field on a Project/Milestone/Task to true to hide it from the Gantt chart. When printing the Gantt chart and selecting external only from the drop down list, this allows you to show a client facing version of the Gantt chart and hide internal Projects/Milestones/Tasks. To see a Resource column or a Duration column on the Gantt chart, go to Custom Settings and Manage Milestones1 Settings and Edit. Select the desired checkbox for display Resource or display Duration. Please review Free Edition Best Practices for basic Milestones PM+ functionality. Ensure that Task/Event sync is set up as desired before exporting the template to ensure that all Projects created from that template will have the sync enabled. If there are Project Tasks that are internal, designate them as such. When logging time on behalf of another person, it is best to do so in the Time related list on the Project Task. The Time Entry grid will only allow logging time as yourself. The "Task Sync ID" field on Project Milestones is required for Task/Event sync. When performing data migrations, please include this field. 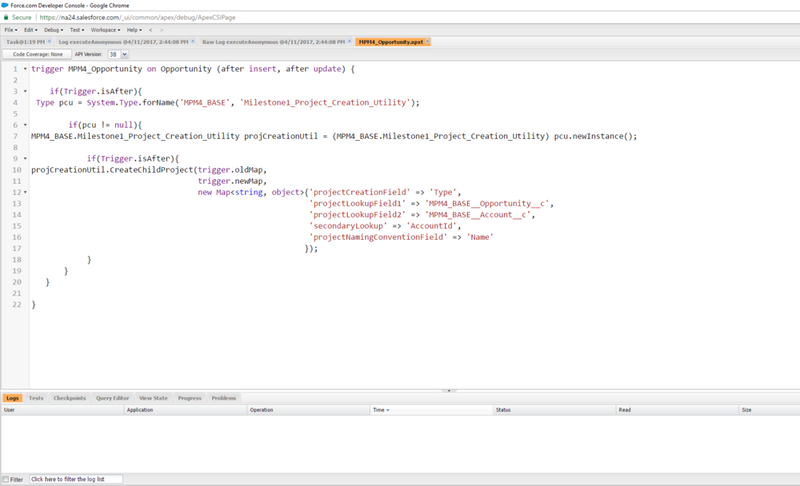 Create a Project Automatically from Any Object in Salesforce. The quick task update visualforce page component (Milestone2_Project_Task_RL) can be added to your Milestones detail page to allow multiple Tasks to be marked complete, or for multiple date changes to be updated en masse. With Milestones PM+ on the Project, Milestone & Task level, you are given the ability to add fields to the field set, so that they can be cloned. Update the page layouts of the Milestone and Project Task objects to display the visualforce page components that will be used to send off the email templates.